John Duffy has been with Keefe, Bruyette, & Woods Inc. for more than 24 years and became CEO in September 2001. Prior to that, from July 1999, he was president and co-CEO. For nine years up to that date, he was executive vice president and in charge of the firm’s Investment Banking Department. There he was responsible for managing the firm’s substantial merger and acquisition practice in the financial services field as well as Keefe, Bruyette, & Woods’ corporate finance activities in the equity and debt markets. Before joining KBW, Duffy was vice president at Standard & Poor’s Corporation. He received his BA in economics from the City College of New York and attended the MBA program at Bernard Baruch College. He serves on the board of trustees of the Michael Smurfit Graduate School of Business, University College, Dublin, as well as Saint Michael’s College in Colchester, Vermont and The Ursuline School, New Rochelle, New York. 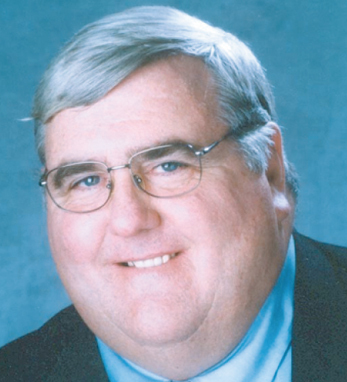 Duffy, a first-generation Irish American, was instrumental in rebuilding Keefe, Bruyette, & Woods after the losses they suffered on September 11, 2001. His son Chris, who also worked for the company, was lost on that day. Duffy’s mother is from Newtongore, County Leitrim and his father is from Culleens, County Sligo. He lives in Crestwood, New York, with his wife Kathleen and children Brian, Kevin, Kara, and Caitlin.